Hypothyroidism is usually the result of the thyroid failing to function properly. When this condition is the result of either the pituitary gland or hypothalamus functioning incorrectly, it is referred to as secondary hypothyroidism. Primary hypothyroidism occurs when the thyroid glands themselves are not functioning normally while the rest of the body is normal. The hypothalamus and pituitary gland are part of the hypothalamic-pituitary-adrenal (HPA) axis. This axis further ties the adrenal glands to the thyroid glands. Therefore, the adrenal glands also, therefore, play a role in thyroid function. Extensive blood loss causing lower blood flow to the pituitary gland. This results in the pituitary cells dying off and thereby affecting the thyroid gland negatively. This condition is known as Sheehan Syndrome and often happens postpartum due to massive blood loss from childbirth. A viral illness causes damage to the pituitary gland. This is usually the result of inflammation within the gland. It is often the result of a tumor growing near either the pituitary gland or the hypothalamus that can compress the glands and cause a malfunction. It is often a side-effect of radiation near the pituitary gland or hypothalamus. Additional and latter symptoms include a puffiness of the facial area, a decrease in sensitivity to smell and taste, and a huskier voice quality. A blood test analysis would indicate the presence of the condition which would typically indicate an underproduction of T3 and T4 hormones. The main function of the thyroid is to convert iodine into thyroxine (T4) and triiodothyronine (T3). These are hormones produced by the thyroid gland that regulates various bodily functions, such as your body’s temperature, your heart rate, breathing, your weight, menstrual cycle, and cholesterol levels, amongst others. The only cells capable of converting the iodine we consume via the food that we eat into these hormones are those found in the thyroid gland. When you present with hypothyroid symptoms, or when your medical practitioner suspects it, the first action is to perform blood tests that check up on your TSH, Free T3, and Free T4 counts. From there, the natural progression would be medications to replace the T3 and T4 as it would naturally be assumed there was an inherent problem with the thyroid itself. This might not always be the case, however. More often than not, the problem may lie with an iodine deficiency. Diet is one of the main reasons people develop an iodine deficiency and thus contract secondary hypothyroidism. Iodine levels in the population of the United States, have fallen by fifty percent over the last fifty years. This is largely due to iodine being removed from American foods and soil. 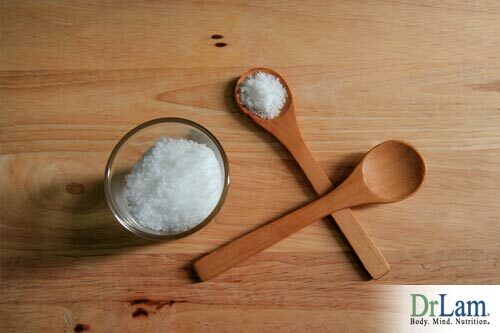 There was also the scare that too much salt (iodine occurs naturally in sea salt) causes health problems such as heart attacks. The result is a diet low in iodine. The results of iodine deficiency are varied and include a sluggish metabolism and weight gain, infertility, compromised immune functionality, and an increase in children who are intellectually challenged at birth. There is also a related increase in instances of prostate cancer, breast cancer, and fibrocystic breast disease. 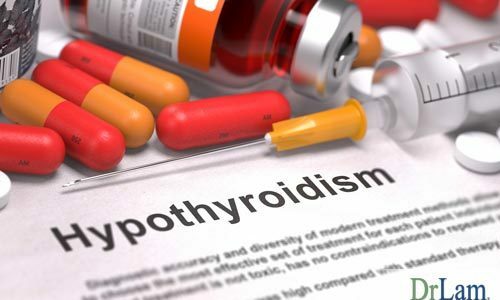 This is in sharp contrast with a country such as Japan where the average iodine intake per person per year is up to 100 times higher, while the occurrence of secondary hypothyroidism and its associated symptoms is significantly lower. Adrenal fatigue is a condition used to describe a number of different symptoms that are the result of the adrenal glands being under too much pressure. As the adrenal glands are part of the hypothalamic-pituitary-adrenal (HPA) axis, that which affects one component has an effect on all the components. When the body is under stress, whether physiological or psychological in nature, the adrenal glands produce more cortisol and adrenaline to cope with the situation. During this period, the body diverts all its attention to either combatting or running away from the situation, and other functions are ignored. Once the stressful situation is over, things go back to normal and the usual production of hormones is once more continued. However, the problem starts when a stress of any sort is prolonged, and the body stays in a constant fight or flight mode. The adrenals have to constantly manufacture cortisol in order for you to be able to function properly. After a period, however, the adrenal glands are no longer able to keep up this production, and the body’s automatic response kicks into play. This is known as the NeuroEndoMetabolic (NEM) Stress Response. The body now finds other avenues to handling stress and does so by means of other organs and systems within the body. The body is only able to do so for a certain period of time, however, before the whole system crashes and Adrenal Fatigue becomes an ongoing reality unless certain measures are taken to rectify the problem. In fact, the majority of the symptoms associated with adrenal fatigue closely correspond to that of an iodine deficiency. During normal stressful situations, the hypothalamus stimulates the pituitary gland by means of hormone signals to send signals to the thyroid to release T3 and T4, and to the adrenal glands to release cortisol. In other words, any given stressful situation has both the adrenal glands and thyroid releasing hormones. The purpose of the thyroid hormones is the regulation of your body’s metabolic functions, which is very necessary have to be increased during times of undue stress. 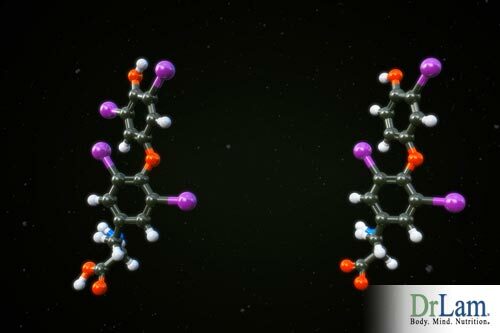 In order to produce these hormones, iodine is essential. The thyroid gland is the only part of the body that can actually use iodine and provide this function. Cortisol has the ability to actually affect your cells response to thyroid hormone signals, which under normal circumstances pose no problem. The problem, however, arises during periods of prolonged stress. Elevated cortisol levels during early stages of AFS cause tissues in your body to be less receptive to thyroid hormone signals. Reduced cortisol levels during late stages of AFS cause your thyroid hormones to function inefficiently. Both cases can result in low thyroid function at the cellular level. Serum tests may not show abnormality.